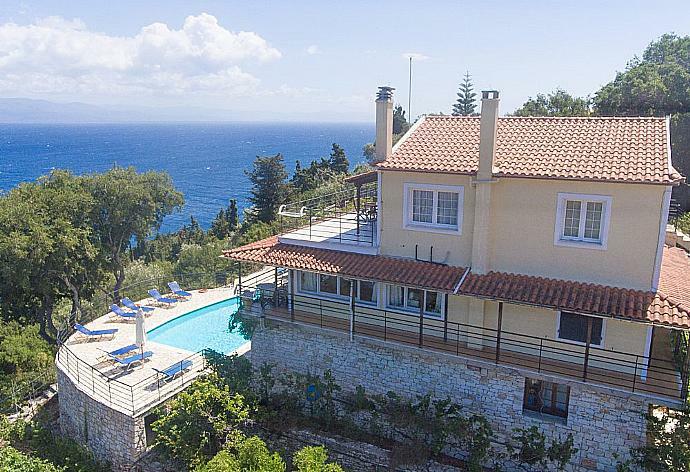 Villa Nefeli is located in Lakka on the Greek island of Paxos. This detached vacation rental property is air-conditioned and sleeps up to 10 people with 5 bedrooms, 3 bathrooms along with private swimming pool and sea views. The villa is walking distance to the beach and restaurants. Villa Nefeli is set over 2 floors, each with independent external access and rented as a whole, benefitting from a beautiful private swimming pool. Open plan kitchen with living area, a double bedroom with en suite shower room, 2 twin bedrooms, a family shower room and panoramic terraces with sea views. On the upper floor there are 2 further bedrooms (1 double, 1 twin), a kitchen/living area opening onto a large balcony, a family bathroom. Extensive gardens (with private swimming pool) surround the villa. Villa Nefeli can sleep up to 10 people. The swimming pool is set just below the villa, enjoying the most sensational views over the Ionian Sea. Well tendered gardens surround the pool, providing relaxation and privacy. We had a great holiday, fabulous location for the villa and the views were stunning. Excellent driving instructions to find the villa. Shame about the kitchens, not much money needed to be spent to kit them out so much better. A few things on our arrival would have been good - e.g. salt and pepper, dishwasher tablets etc. We werent expecting a welcome pack but it would have been nice after a very long journey (biscuits, bread, honey, fruit etc) which weve had at other villas. Good value villa but we would have struggled if there were 10 of us with the poorly equipped kitchen. Directions to the nearest supermarket would have been helpful too. Loved Paxos and the views from the villa were exceptional. That was are second time at the villa,we are going to book again for next year,the villa is very clean and in a prime location ,and thank you for the extra baby cot and chair we requested,and the new Windows look good,thank you Agni for a lovely holiday. We enjoyed our trip! We had a good weather, not too hot All the Greeks were nice, kind with us! We enjoyed the bens bar( very good coktails and wonderful people working in it!) il was near our villa and very great spot for good afternoons, for bathing and having fun !! We had a terrific time at Villa Nefeli - a truly stunning setting the pictures do not even do the view justice. Watching boats bob in the far distance with Corfu and the mainland beyond was a real joy. The house is comfy spacious and pleasant throughout and the pool is lovely. Lakos beach nearby is stunning and Monodendri is great fun (though the tavernas there close early evening). Lakka is walkable if feeling energetic but having a car for some of the time was very helpful. 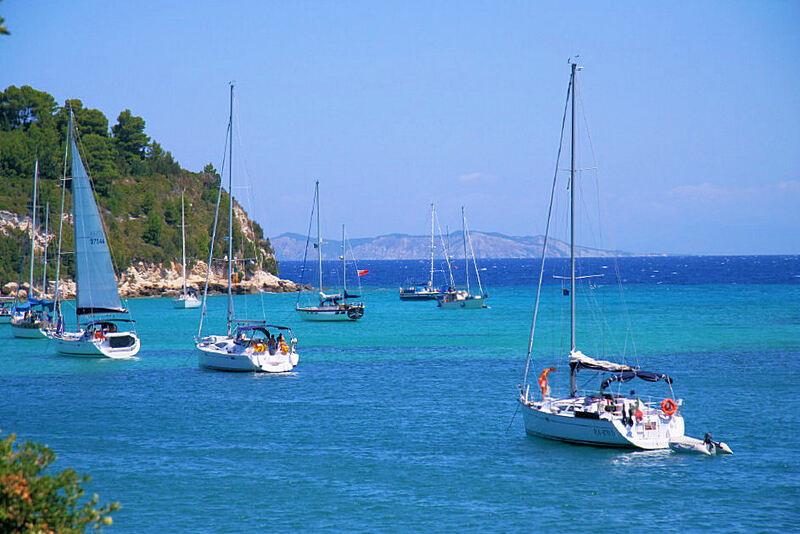 Paxos is a real gem and a boat trip to Antipaxos is a must. A great time all round many thanks for having us. Nice and friendly contact. Good correspondence with Agni and Eos Travel team. Such a lovely island! Villa Nefeli has probably the best views on the island and this is a perfect place to stay . The villa absolutely beautifully positioned, the rooms all had fantastic views of the sea and surrounding countryside. The outside areas are lovely too. The pool is very well maintained as are the gardens. Plenty of sun beds around the pool and lovely shade. The path down to the beach is steep but we enjoyed going down there to Lakos bay which we decided is our favourite beach on the island. The holiday was a great success and we would love to rent the house again now we know how to get there! Lovely relaxing holiday in beautiful surroundings with evenings sitting outside the villa watching fireflies and listening to the owls. We stayed at Villa Nefeli in September. Great private location and close to the beach (easy walk through the olive groves). Paxos Transfers all arranged professionally, so too the car hire in Paxos.Loved Lakka; so pretty at night. Well done for offering such excellent service. 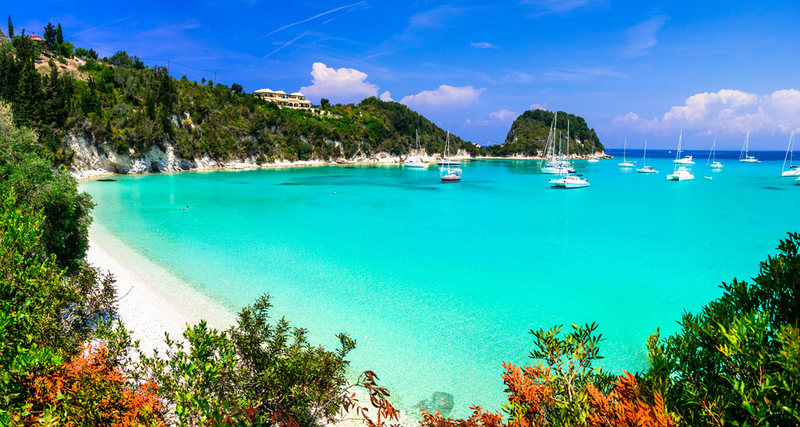 Lakka lies in the north of Paxos at the head of a long natural inlet of the most startling shade of turquoise - reminiscent of a Caribbean bay. It is a perfect harbour and is filled with a fascinating array of yachts in summer. The village itself is small and focused almost entirely on its harbour-front, with a selection of useful shops and several good restaurants and bars, including a very good Italian restaurant. The shores of the bay are fringed with beautiful natural beaches, shaded by trees, and it is possible to walk to other, more unfrequented, beaches on the other side of the headlands.